Everton put in a lacklustre performance at the Stadium of Light and deservedly lose 1-0 to Sunderland. 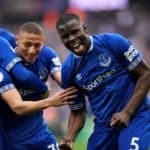 David Moyes opted to change the side which earned a draw at Arsenal on Tuesday – Osman returned to midfield in place of Ross Barkley and John Heitinga replaced the injured Phil Jagielka. Stephane Sessegnon scored the game´s only goal just before half-time, Larsson, seized on a careless pass from Leighton Baines to release Sessegnon who went on to drill a low right-foot shot beyond goalkeeper Tim Howard. 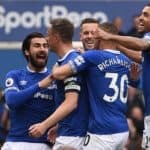 The defeat, Everton´s first against Sunderland since 2001, means the Everton stay sixth in the table with their hopes of a top-four finish all but over.